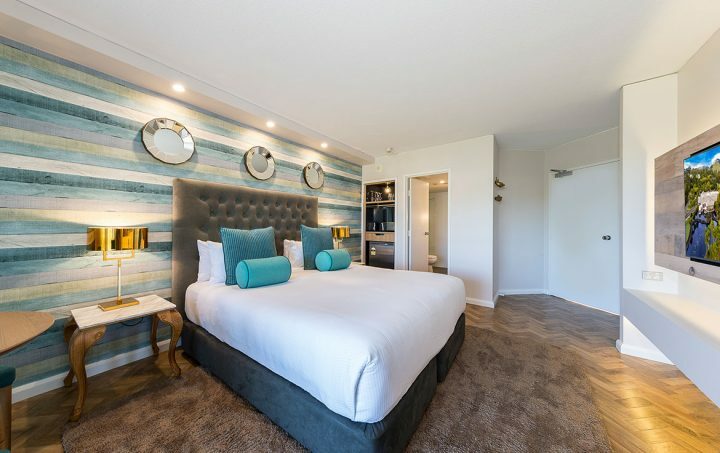 Pacific Bay Resort, Accor Vacation Club Apartments are only 3km north from Coffs Harbour on the Mid North Coast of New South Wales. 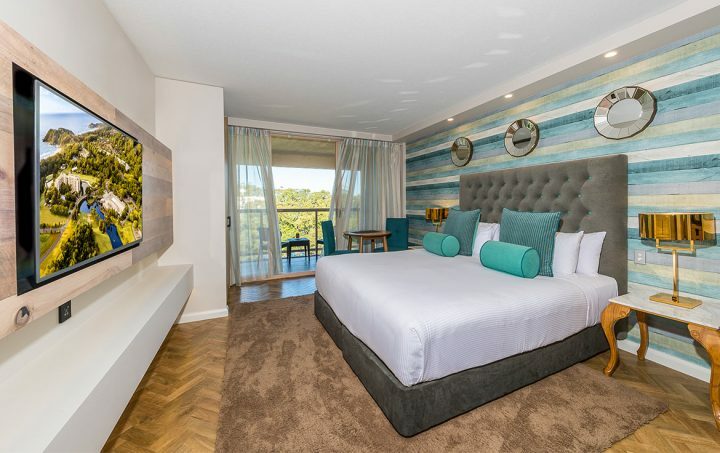 Pacific Bay Resort, Accor Vacation Club Apartments provide guests with the perfect balance between fun and relaxation in a peaceful location, convenient to the heart of Coffs Harbour. With three tennis courts, 9-hole golf course and three heated swimming pools, the resort has everything you could want in a place to get away from it all. Internet – Complimentary WiFi is available in all rooms. The Resort: Direct beach access, restaurant, golf, floodlit tennis courts, three outdoor swimming pools, playground, games room, Tranquillity Day Spa , hairdressers, fitness centre, conference facilities, sport equipment hire, complimentary laundry facilities, dry cleaning service and barbecue facilities. For the Kids: Outdoor playground and games room. Please Note: Studios do not have cooking facilities. With a beach front location at Charlesworth Bay, just 3 km north from Coffs Harbour, Pacific Bay Resort, Accor Vacation Club Apartments are framed by ocean, mountains, natural forest and banana plantations. 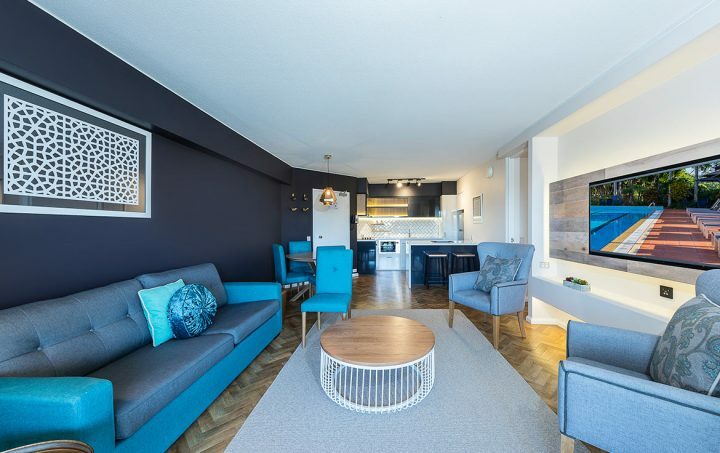 Direct flights from Sydney and Melbourne make the Pacific Bay Resort, Accor Vacation Club Apartments one of the most easily accessible coastal retreats for city dwellers. From a fun filled active day to a relaxing stroll trough the beautifully landscaped gardens enjoying the smell of jasmine and frangipani, you won’t want to leave. (1 king split bed, or can be made into 2 singles on request). No kitchen or laundry, tea and coffee making facilities only. This is a standard hotel room, bathroom (shower only), balcony, air-conditioned, mini bar, in-house movies (charges apply at member expense), cots available on request (charges apply), highchairs available on request (charges apply), rollaways not available. DVD players can be hire through Reception (free of charge). Full kitchen and laundry, ensuite bathroom only in this apartment – (shower over corner bath), balcony, air-conditioned, media hub, 2nd TV in master bedroom, in-house movies (charges apply), cots available on request (charges apply), highchairs available on request (charges apply), rollaways not available. DVD players can be hire through Reception (free of charge). Full kitchen and laundry, ensuite bathroom (shower over corner bath), 2nd bathroom (shower only), balcony, air-conditioned, media hub, TV in both bedroom, in house movies (charges apply), cots available on request (charges apply), highchairs available on request (charges apply), rollaways not available. DVD players can be hire through Reception (free of charge). A Coles supermarket is 5 minutes drive from the resort for Members who wish to self cater. Some complimentary undercover and general resort car parking available. For Weddings or Conference information, please contact the Resort direct.